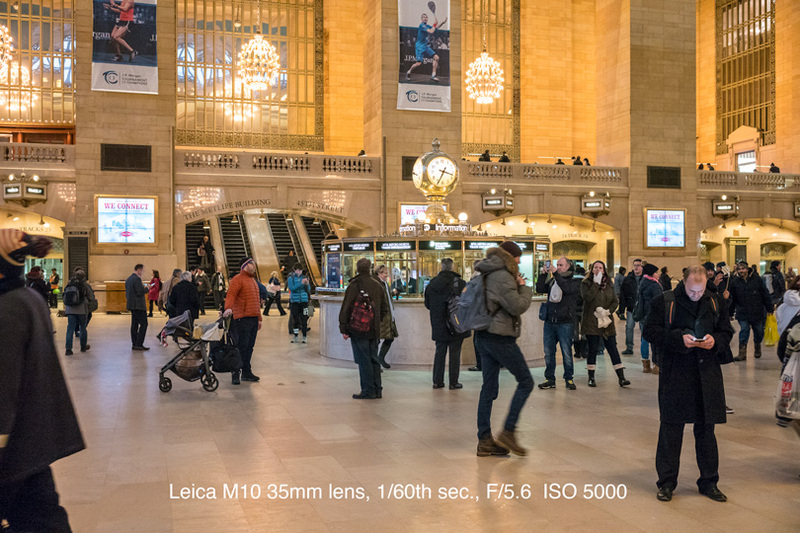 On January 9, 2017, I was invited to a meeting in New York City to see a preview of the brand new Leica M10. I have been a Leica user for a long time, dating back to the M3 and M4 film days. I also purchased the first digital Leica, the M8, and suffered through many issues with the magenta cast turning blacks into a purple. This was apparently caused by not having a proper IR cutoff filter. 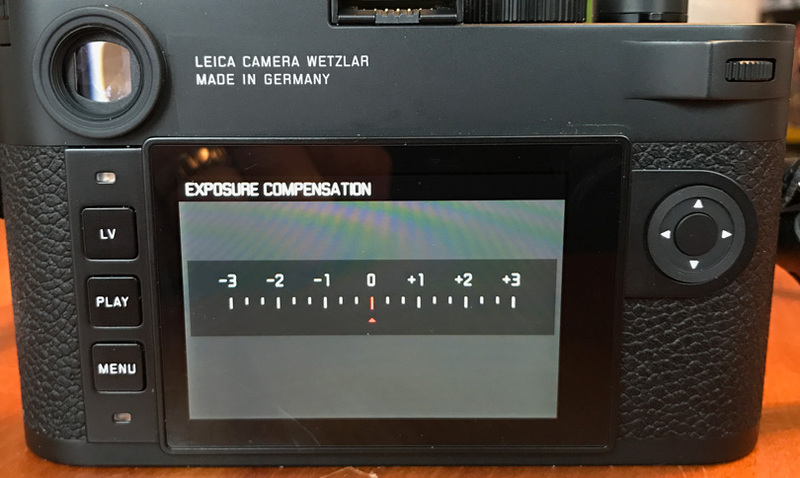 Those were tough times for Leica, but they attempted to make it right by sending their customers free filters and those of us who like Leica pushed forward. Talk about brand loyalty; that was a real test! A lot has happened since then. My own experience with the M9 is similar to what Michael described above. We both started with the M8 and subsequently upgraded to the M9. Let’s jump forward to present day. Having the opportunity to witness the latest evolution of the “M” series was a great honor. My appointment with the Leica team was like a high school reunion. Many of the people I had come to know over the years were still there, greeting me with smiles on their glowing faces. I knew right then that they must be really proud of what they had to share with me. 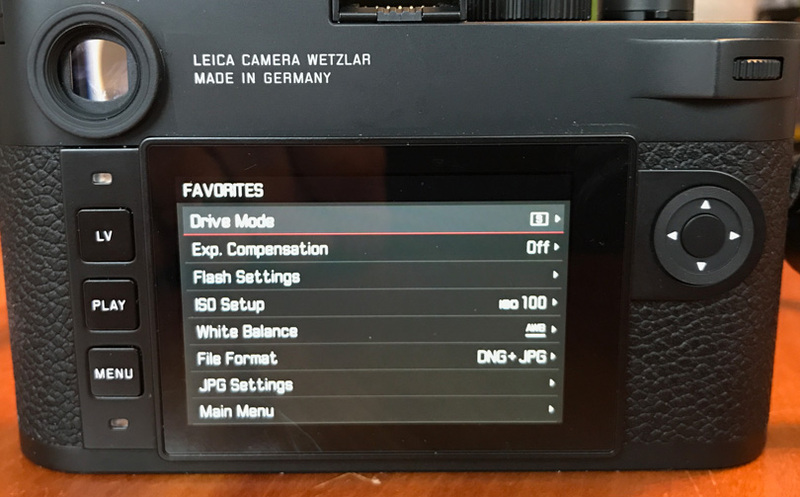 Picking up the M10, you know right away that it’s a Leica, but that is where the comparison stops. 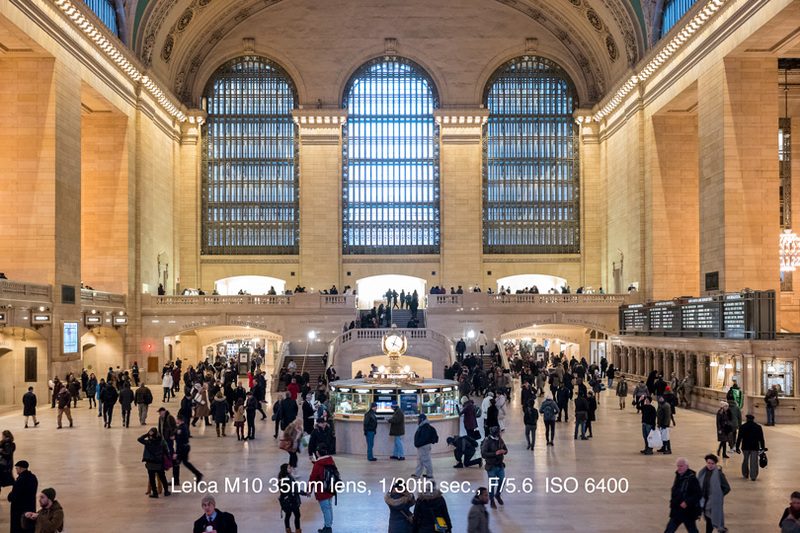 The M10 is a brand new camera with several recognizable improvements. First of all, the M10 has been slimmed down by 1/8 of an inch compared to the M9. It is amazing what an eighth of an inch can do! The M8, M10 and M4 film camera. Notice the body thickness. On the left side of the camera is an ISO setting dial. 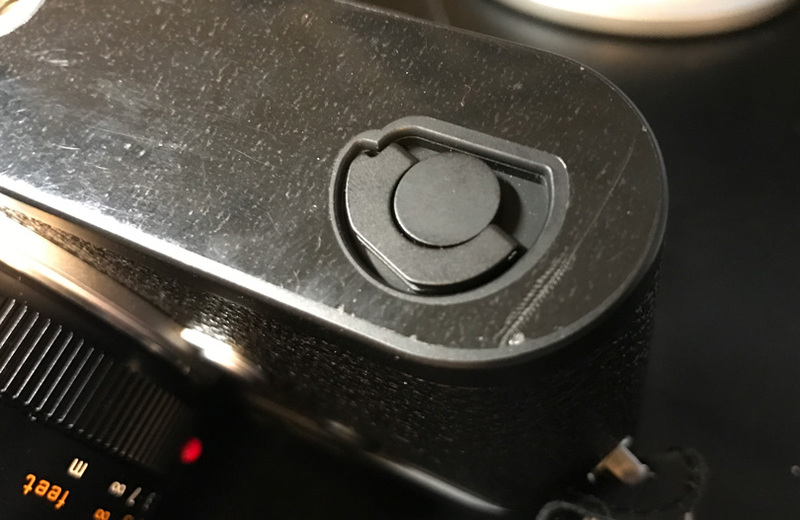 The shutter release now features an on/off lever rather than the drive mode the M9 had. 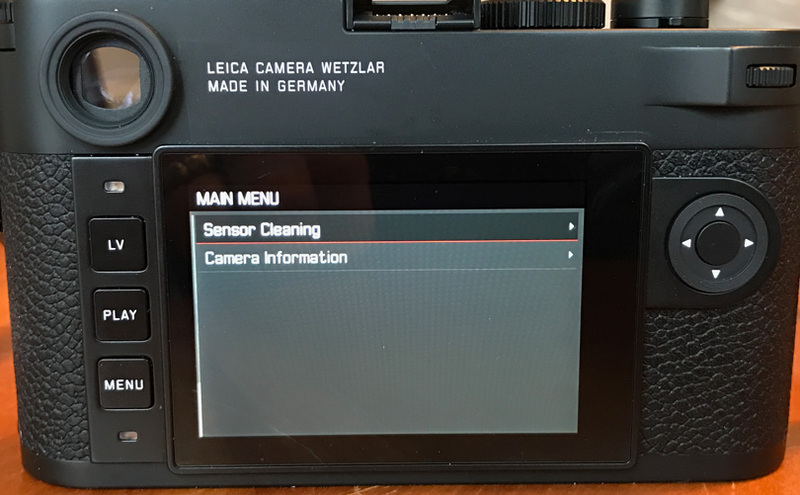 The rear of the camera has changed significantly, there are less buttons than the previous model. There used to be a total of six buttons, the M10 has only three large square buttons: (1) “LV,” for turning the live view on and off, (2) “Play,” which obviously takes you to playback mode, and (3) “Menu,” which opens up the initial menu screen. The rear of the M10. Simple operation by three buttons. This shows the Favorites Menu. 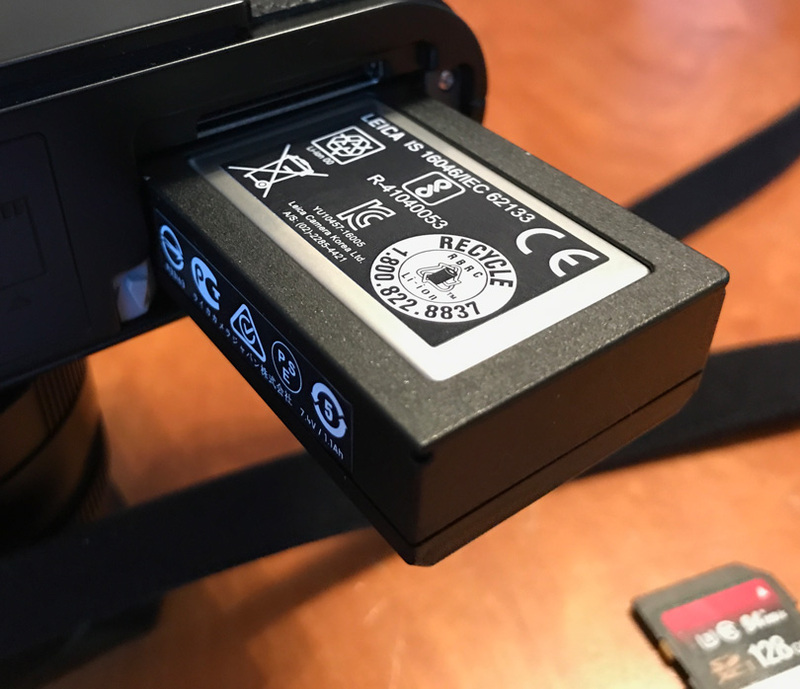 Like previous Leica cameras, you must remove a bottom plate to access the battery and SD card compartment. Frankly, after all, this time, I was really hoping for something a bit more innovative. If you use tripod mounting plates, you must unscrew the mounting plate and then open the bottom plate. In giving this a try, I dropped the bottom plate a couple of times just trying to reach the battery and SD card. The bottom plate release. Notice the small space to get into where the release is. I found it hard to open without longer finger nails. I also found it very difficult to unscrew the bottom plate with its recessed screw. You need a good fingernail to be able to do so with ease. For me, especially as my fingers were cold, testing this camera was a downright pain in the you know what. I have become somewhat accustomed to the slide latch present on many other cameras. No fingernails needed in those instances. The menus are simple and well organized. I had no issue selecting a menu item and setting it. After the “Quick Menu,” there are four pages of additional menus. These cover all of the different settings you may need. Menu 1, you can tell where you are in the menu list by noting the white bar on the left margin. Thus you can navigate up or down. I included the drive sub menu so you can see how choices look when you select a menu item. 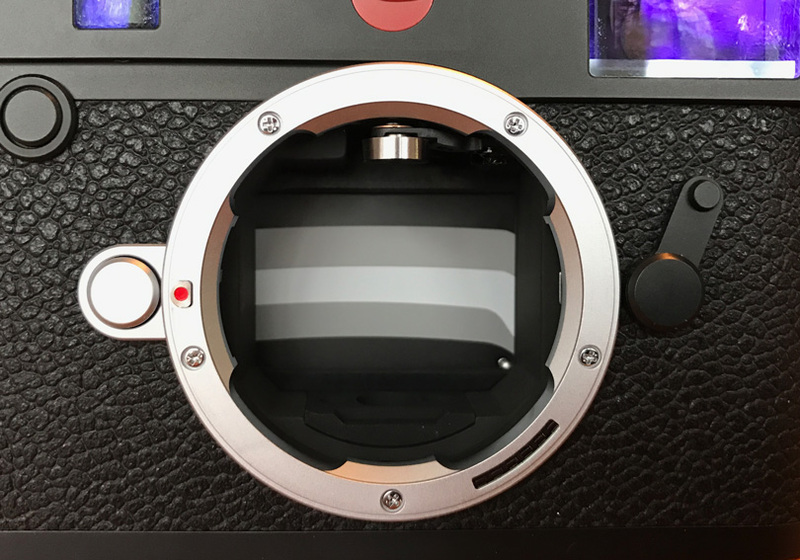 There is one control dial on the rear of the camera built into the protruding thumb rest. This control wheel is used to scroll through images, menu selections, zoom in and out of an image, and for a number of other functions particular to certain menu options. As a whole, I found the menus easy to use and understand. You don’t get lost in a maze of subfolders or poorly organized menu selections. There is a much smaller four-way controller than on previous models. I think I prefer the larger controller, but I had no problem operating the smaller version. By pushing the center button of the 4-way controller you get a camera status screen. The viewfinder is intended to show more of the image frame. I wear glasses and I still can’t see the entire frame. This did not stop me from shooting, as a quick move of the eye was easy enough. The viewfinder was supposed to be an improvement, particularly for those photographers who wear glasses, but I still felt a bit hampered in that respect. Also of note, there is no diopter dial. 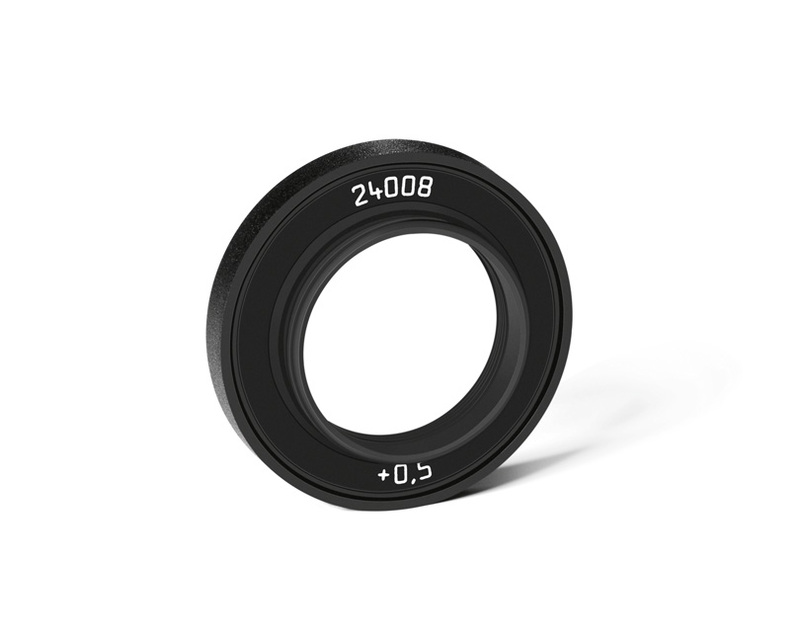 Diopter adjustments are instead handled by screw-in diopters based on your particular requirements. Even though I need a diopter adjustment, I was able to use the camera without issue. If I were you, I would test out the viewfinder before springing for the diopter set. The ISO dial is new. It is nice to have the ISO dial on top of the camera. You lift the dial, turn it to your selection, and push it back down. In other words, it won’t be possible to change this setting by accident. I do wish the dial was a bit bigger. You have to pinch the dial to lift it up. The way the dial is positioned, there is very little space, which is inconvenient if you have large fingers (like me). Once again, this was a hard setting to change with cold fingers. Leica should have thought twice before sending me out on one of the coldest days in NYC. You can change the ISO using the menu, which seemed to be easier at times. The ISO dial is small. It’s hard to pinch and pull up. Thus you push it up, turn it to the desired ISO and push it back down. As a reviewer, I can be fussy about certain things. I want things to be quick and effortless when I’m shooting. The M10 meets my bare-bones criteria in the sense that there are enough knobs and dials and the camera works well. 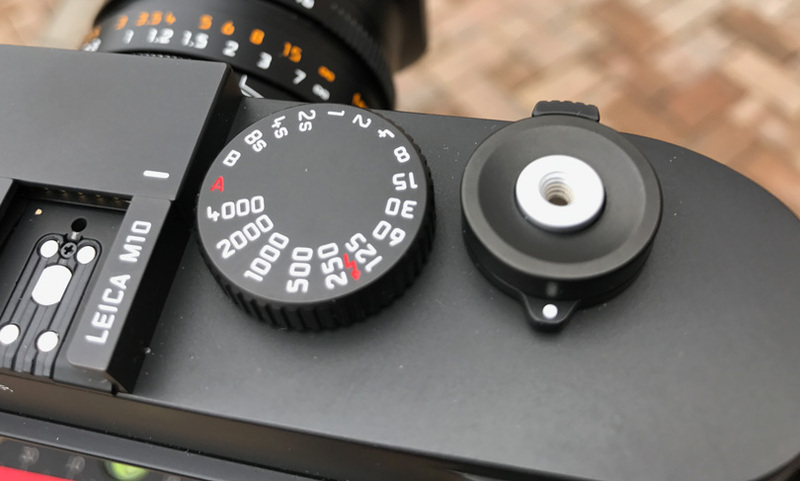 My complaints regarding the bottom plate and the ISO dial, while irritating, shouldn’t cause any issues when I’m actually shooting. The camera feels great in my hands. Leica makes a few accessories that I may purchase to improve the overall feel and handling during shooting. I’d consider purchasing the grip handle that has its own bottom plate, as well as the finger grip. 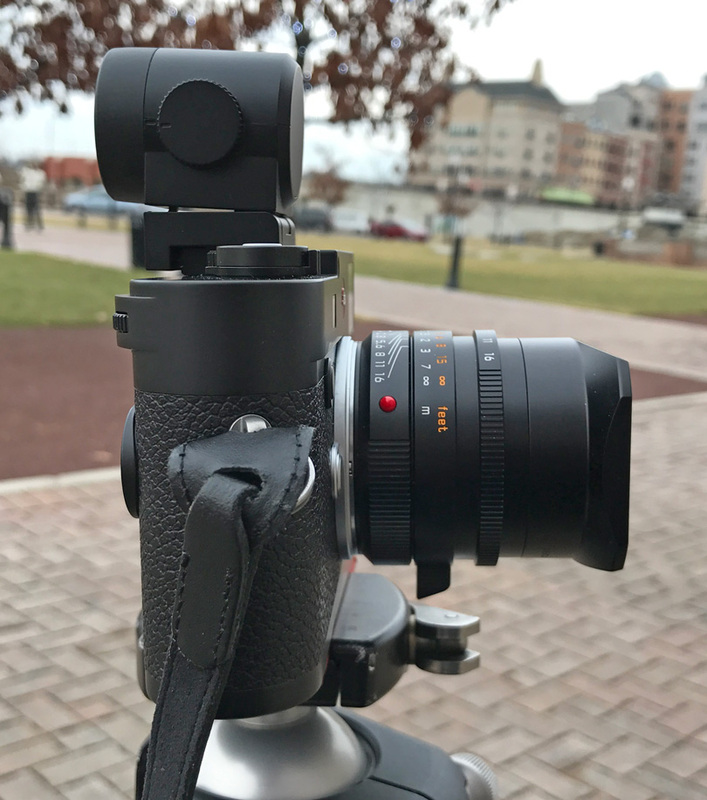 This cool grip allows you to slide your fingers into a small finger strap for added security when carrying the camera around on shoots. There is also a new Maestro II image processor in the M10. This speeds up operations and ensures the best possible image processing. There is a 2GB buffer that allows up to five frames per second at full resolution. 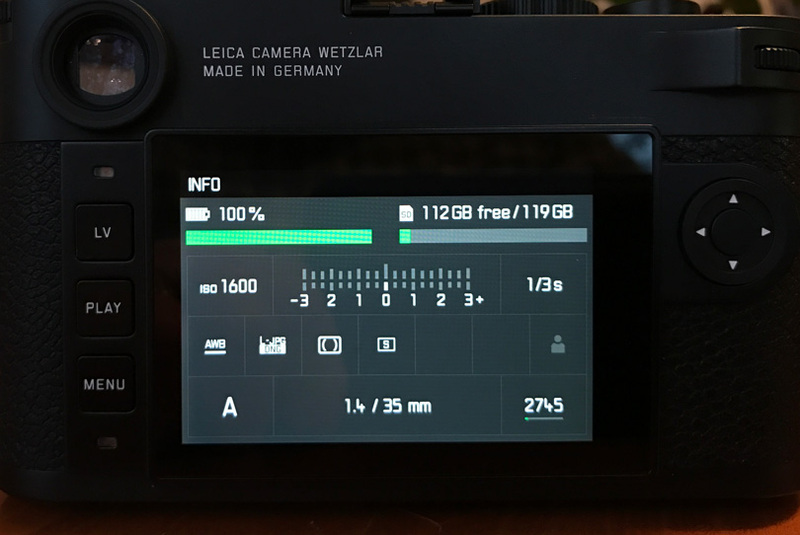 The M10 is the fastest Leica “M” model ever made. The new processor also allows for greater magnification in the “live view” and “playback” modes, and allows you to position the enlarged frame wherever you want to perform a focus check. When you take into account the focus peaking, it is very easy to select the point of focus and be confident that it will appear super sharp. A number of the following sample images below the specs were made using this process. Focus in Live View zooms in and shows peaking. I also used the Electronic Viewfinder for some images. 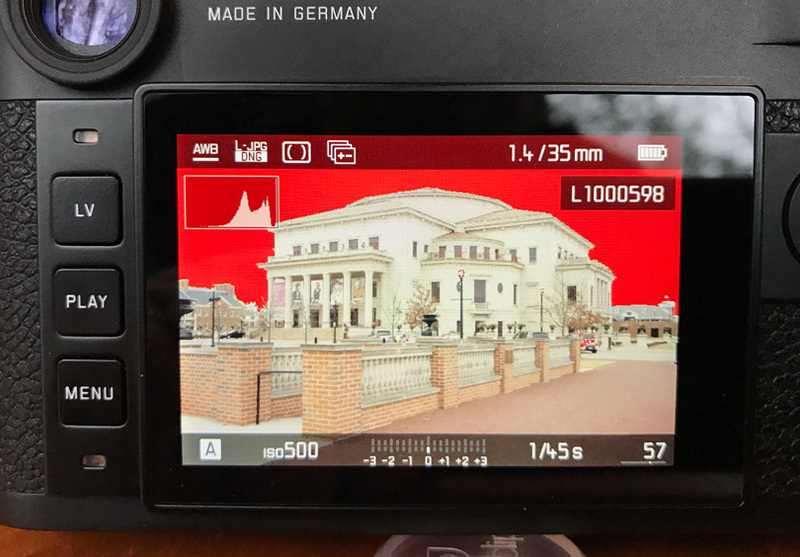 I am not a fan of this when shooting with a Leica. Also, I found it had a lag in display time. Image Field Limiter: By activating two bright lines each: For 35 and 135mm, or for 28 and 90mm, or for 50 and 75mm; automatic switching when lens is attached. 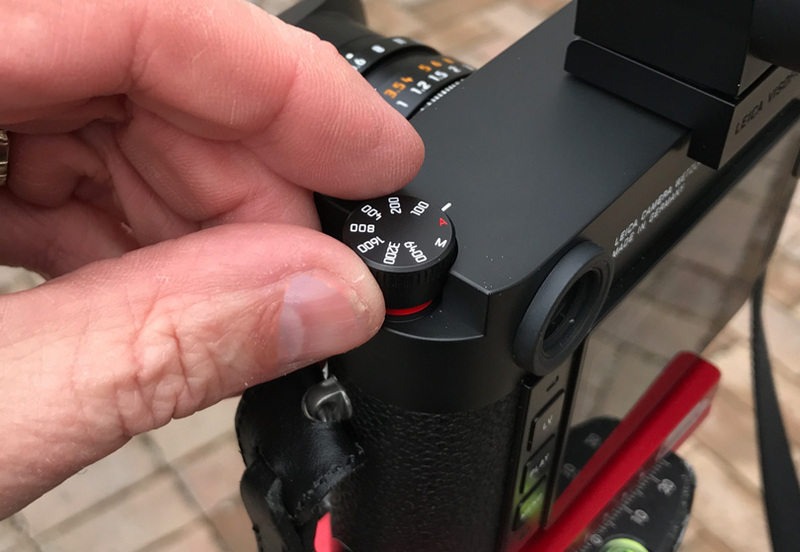 Shutter Release Button: Two-stage, First step: Activation of the camera electronics including exposure metering and exposure lock (in aperture priority mode); Second step: Shutter release; standard thread for cable release integrated. 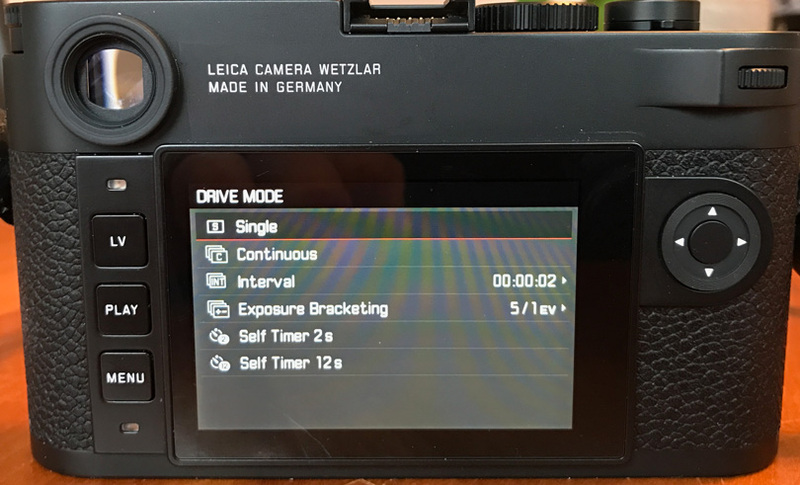 Self-Timer: Delay optionally 2s (aperture priority and manual exposure setting) or 12s, set in menu, indicated by flashing LED on front of camera and corresponding display in monitor. 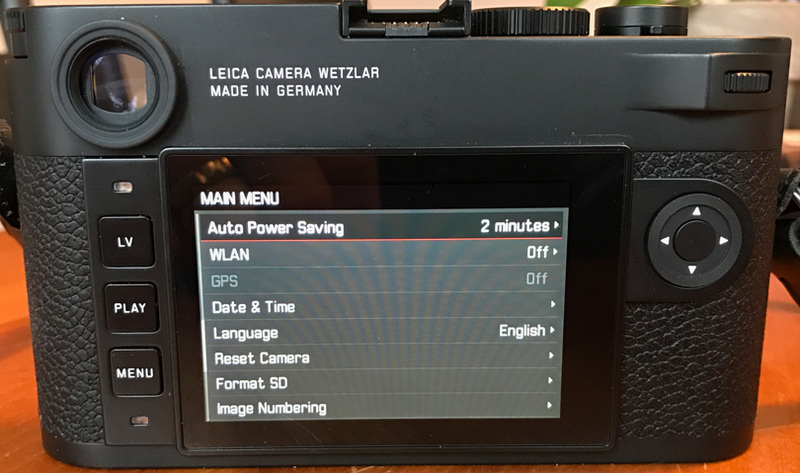 GPS (only with Leica Visoflex viewfinder attached, available as an accessory): Optional (not available everywhere due to country-specific legislation, i.e. enforced automatic shutdown in those countries), data are written to EXIF header in picture files. Highlight warning shown on playback. Shadow warning is also shown in blue when present. Side view with EVF. The EVF is tiltable which comes in handy for waist lever shot or shots looking up. I have had the camera for less than a week and have been busy shooting with it. Below are some sample images taken with the camera under various conditions. Click on the image to view it at 100%. I like this picture click on the image then explore all the things going on in the photo. The above images are only a small sampling of images I made with the M10. As I looked at the files and worked them I really liked the ability to pull subtle details in the dark areas and not lose detail in the highlights. 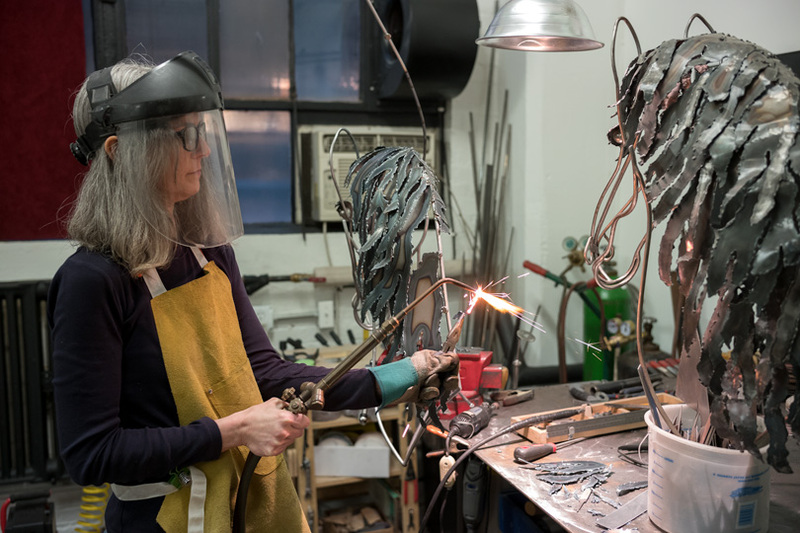 The two images of the metal sculptor above deserve some detailed viewing. 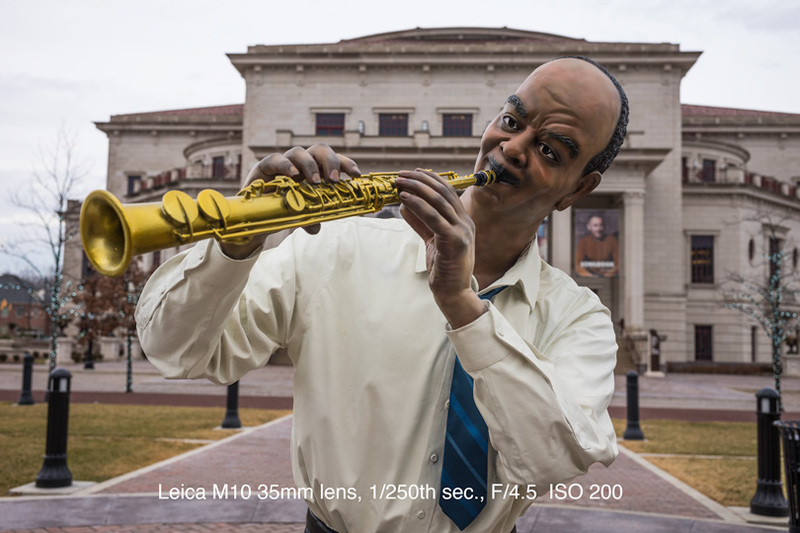 The Leica M10 is not a camera for everyone. You have to know Leica and like Leica to truly appreciate this camera. It is easy to find a high-end camera at a somewhat reasonable price point that, at least spec-wise, outperforms the M10. 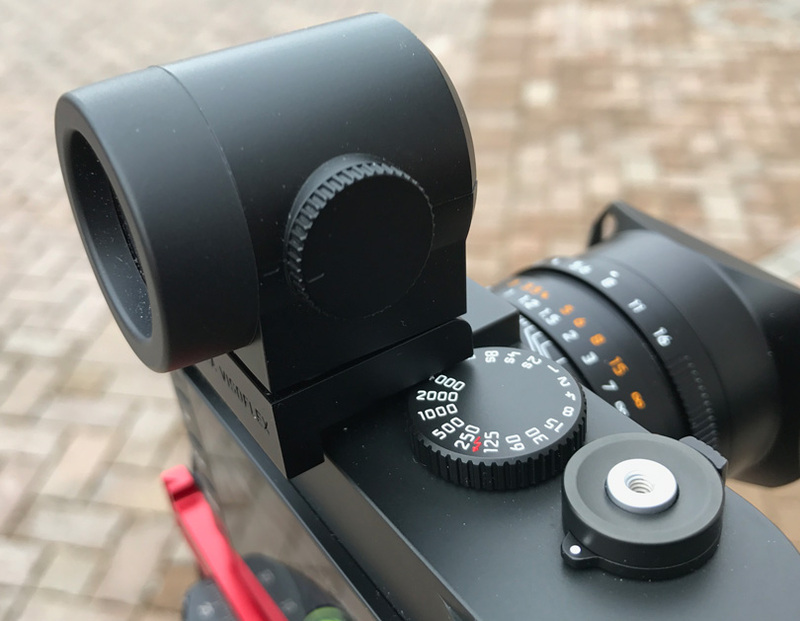 We have all become very accustomed to high frame rates, super quick auto-focus that can track our subjects, and a wide range of glass that allows you to quickly compose and shoot. Let’s not forget handy image stabilization which allows us to pull two, three, or even more stops from a single image. 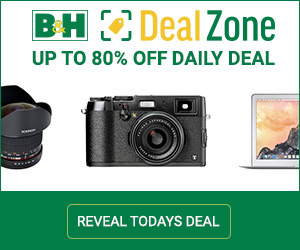 You can easily become spoiled by these newer cameras and all of the amazing technologies built into them. But that isn’t Leica. When I left my meeting with Leica, I went back to the hotel, set up the camera, and went through each of the menus and custom settings to make sure that everything was the way I wanted it. I knew I was going to have to approach the upcoming shoot differently. I packed up all of my gear and headed to Grand Central Station. I was provided only one lens to use, a 35mm Summilux 1.4. An ideal lens for what I had planned. In my opinion, the 35mm is a perfect street photography lens, which is exactly what I had in mind. 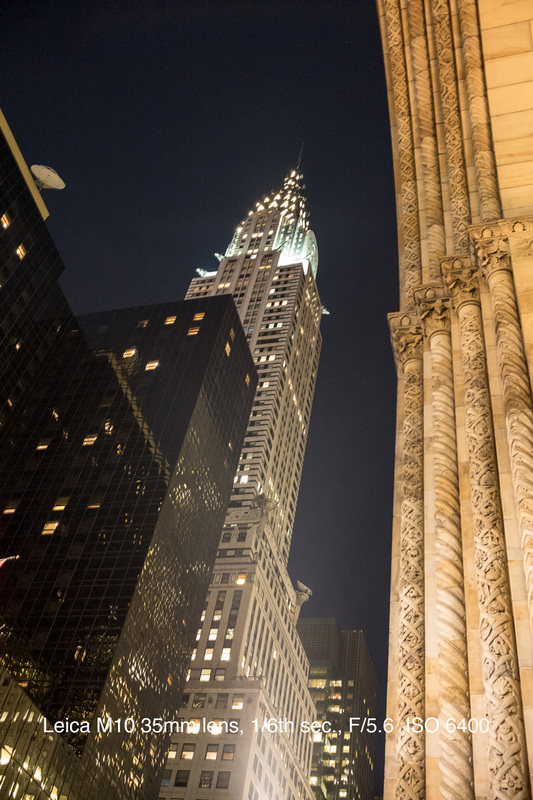 Despite the freezing temperatures, I was able to take several photographs on my walk to Grand Central. I was testing my focus abilities and getting a feel for the M10. It had been awhile since I had shot with a Leica, but it didn’t take long to get the hang of it and remember why I liked Leica so much. For me, there is a lot of nostalgia. Shooting with the M10 requires that you slow down and carefully compose your shot. You learn to breathe differently and brace yourself in order to squeeze off the shot. Put simply, it was fun. It made me think. It made me want to work for the shot. It’s a different way of shooting than using a zoom lens and 12fps autofocus. I found myself focusing, composing, and waiting; anticipating the shot. It was almost a zen-like experience. It didn’t hurt that I was getting some nice images. The M10 is unobtrusive. It doesn’t stand out in a crowd, instead, it allows you to become part of the crowd. I found I was taking the camera with me as I had in days past. I found myself interacting with my subject. 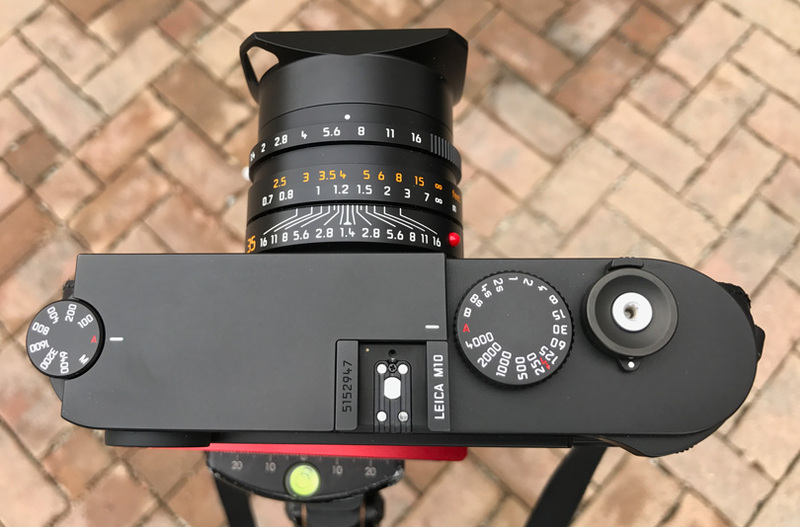 If there is one thing I will say about the Leica M10, it’s that it takes you back to your roots. It makes you remember everything you were taught as a young photographer. It makes you decide what f/stop you need in order to get a blurred background while maintaining the exact depth needed for the subject. This is not an inexpensive camera. The M10 body will set you back $6,595.00 USD. 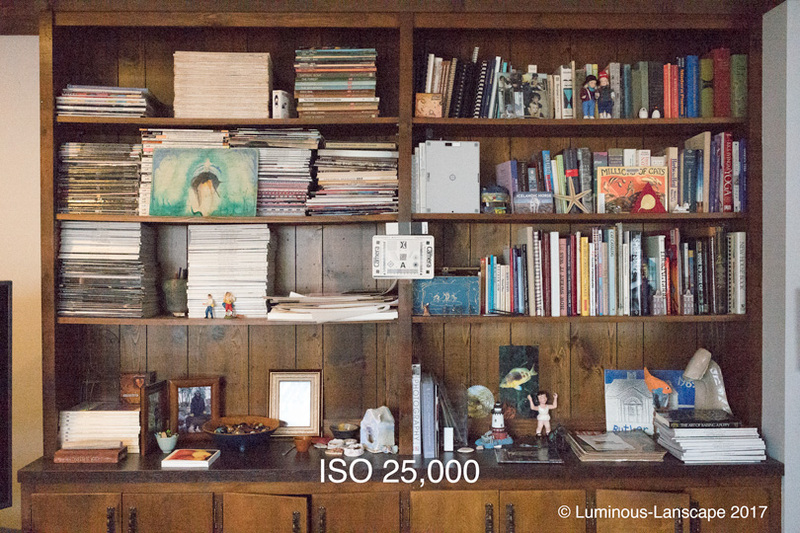 The 35mm Summilux lens I was using is listed at $5,195.00 USD. As you can imagine, a full setup is going to be quite an investment. 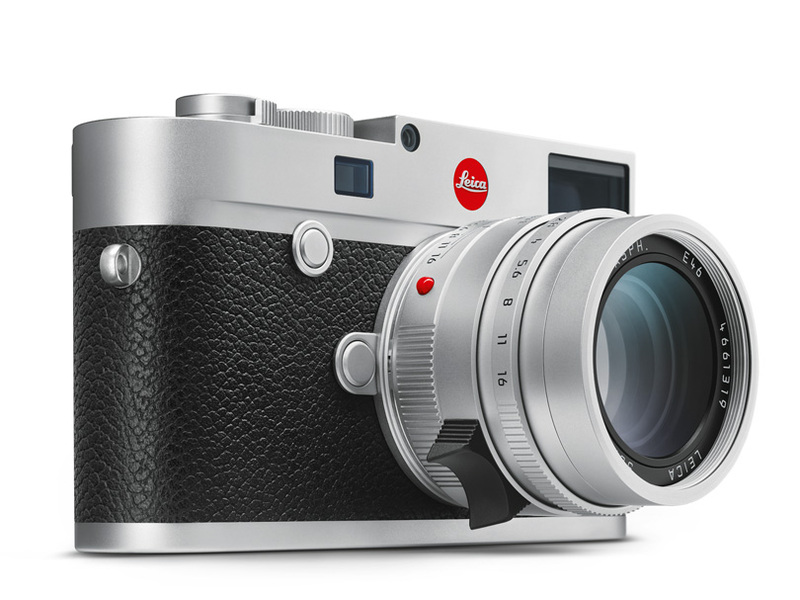 This is a camera for those who really appreciate what a Leica camera is all about. The engineering, the legacy, and the incredible optics. 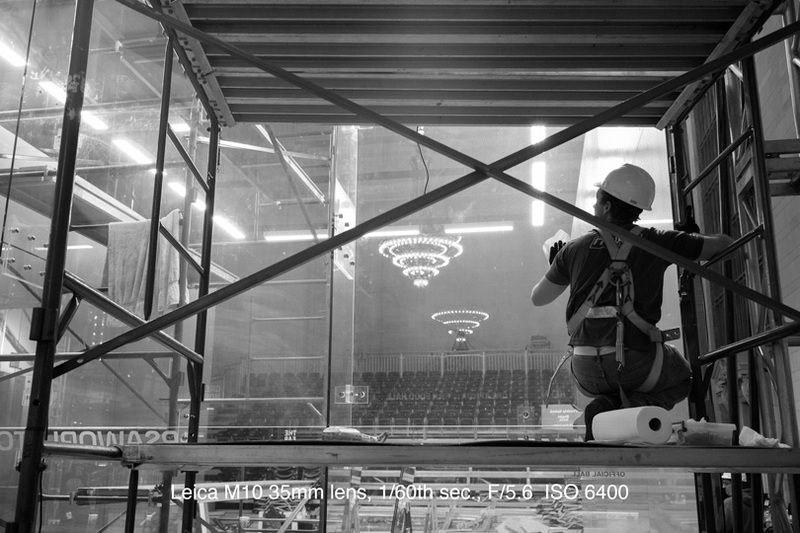 Those who shoot with a Leica do so because they want to be a part of the shot they create. They want to slow down and compose the image, wait for the right moment. 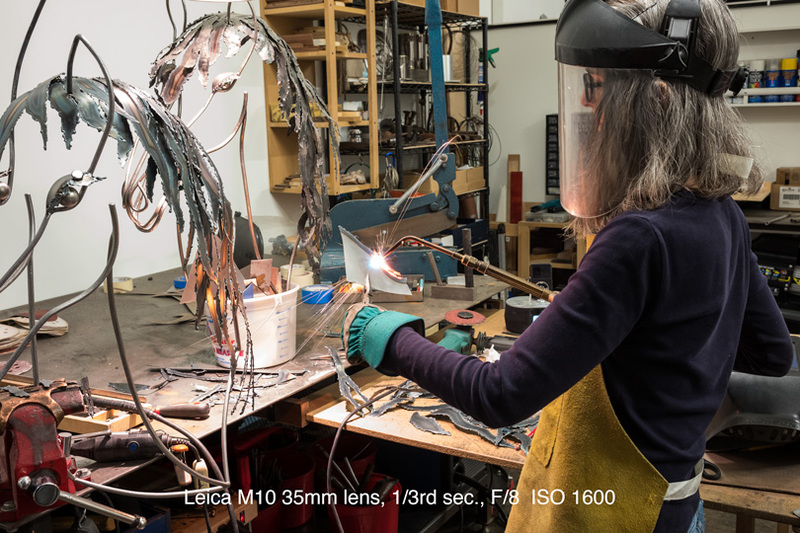 They want all the richness and detail that comes with a Leica file. Just about everyone I know who owns a Leica, and I know a good number, relish in their craft. These same folks have owned numerous Leicas, many dating back to the film days. I suppose I am somewhat critical in my primary disappointment with the M10, although I am also sure that others will feel the same way. I have been hoping for several years that the next “M” series would jump in megapixels and move into the 30+ megapixel range. 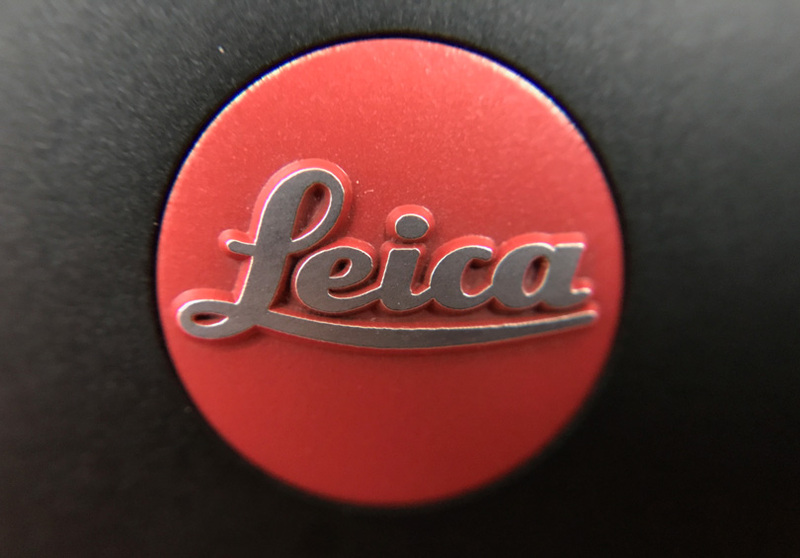 An “M” series camera with a larger megapixel sensor and Leica optics would be to die for. Here’s to hoping that the M11 makes that a reality. 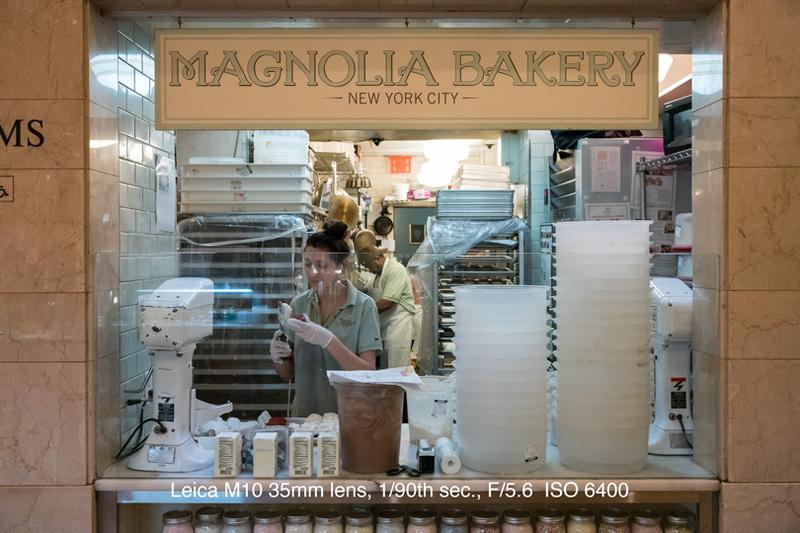 In the end, Leica has delivered a fine camera. 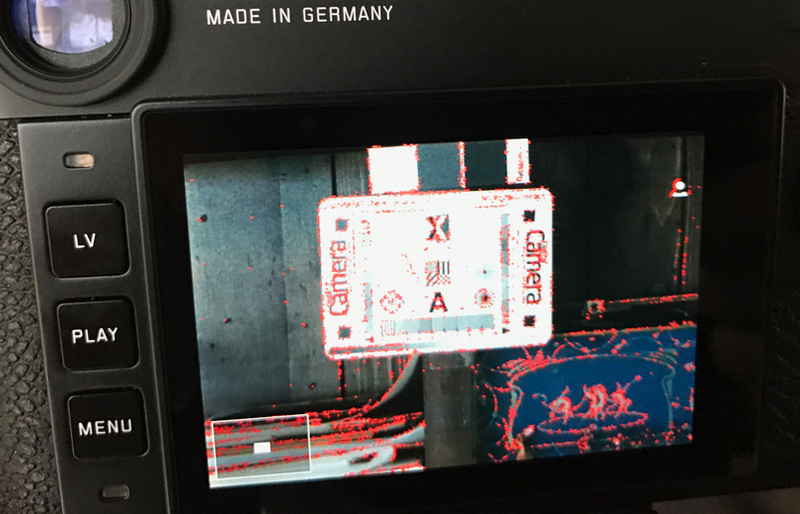 I didn’t experience any issues with any part of the camera. While in some cases I may wish for better ergonomics, overall the camera felt and worked great. I love photography and I love the fun part of it. I enjoy the the chan ce to focus, adjust the f-stop and to compose the shot. 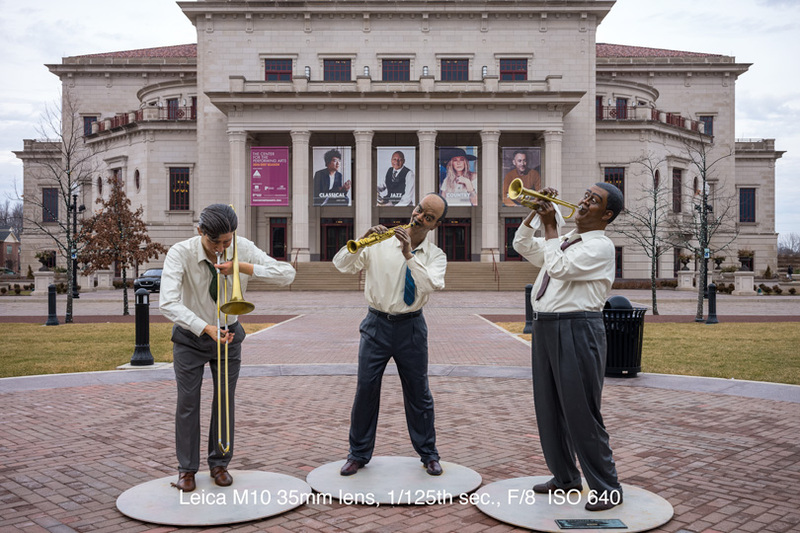 For those of you considering purchasing a Leica “M,” now is the time to do it. I haven’t enjoyed shooting the way I did with the M10 in a long time. I found complete satisfaction in the experience and was really happy with what I saw when I loaded my images in Lightroom. Every photographer owes it to themselves to slow it down once in a while and really experience seeing and capturing an image with an M10. While not for everyone, the M10 is for those discerning photographers that want the best, appreciate the best and can afford the best. 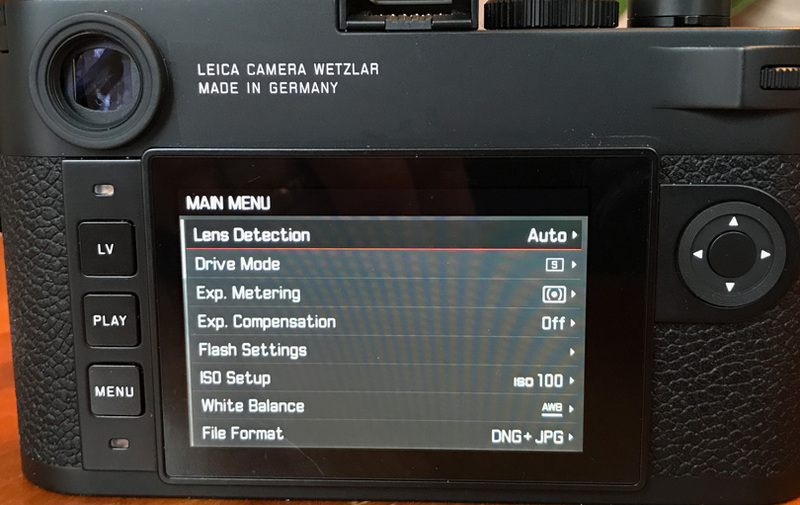 Nice job Leica!